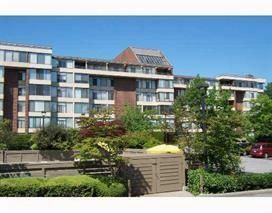 Well kept, spacious 1 BR & den in Arbutus Village. This condo faces North looking out on lush courtyard and green space. Solid concrete building, updated with laminate floors, newer countertops and stainless steel appliances. Enjoy swimming in the outdoor pool. Just steps to the Arbutus Shopping Mall & Arbutus Club. Includes parking stall #22 and a storage locker #412. This suite offers great value, and is extremely spacious and open and can accommodate larger furniture. A must View! Living space is 785 sq. ft. ( from strata plan) plus 93 sq. ft enclosed balcony. Easy to show!